With E C Financial Services Limited (ECFS), you can benefit from practical, trustworthy financial planning for today, for tomorrow, for life. In addition, ECFS is directly authorised and regulated by the Financial Conduct Authority, enabling us to recommend and buy or sell insurance or investment products, and to implement this on behalf of our clients. 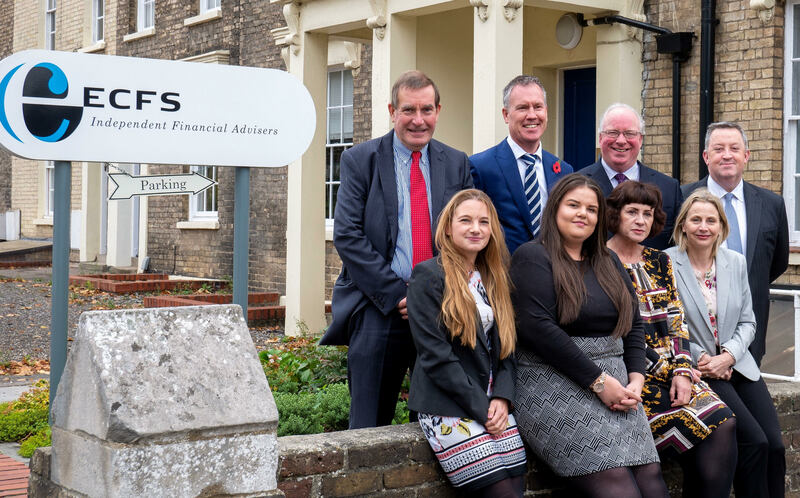 Established by David Carr in 2006 to fully meet the demand for all-encompassing financial advice and planning, ECFS operates as the independent financial services division of Edmund Carr Chartered Accountants. Your advisers are David Carr and Stephen Franklin who both have diplomas in Financial Planning and Kevin Bray who is a Chartered Member of the Institute of Financial Services. They offer financial planning advice on all aspects of financial planning services. We work in close partnership with our clients, gathering financial information to help us analyse current financial positioning, and to make effective recommendations for ensuring a financially secure future. We take a broad look at the entire finance spectrum, and what is available to you. We discuss what is in your best short and long-term interests, implement appropriate plans, monitor progress and adjust your plan to suit changing circumstances. +44 0 1245 294900 - Registered in England 5631832. E C Financial Services Limited is authorised and regulated by the Financial Conduct Authority.